Melisa Galván is Assistant Professor of Chicana/o Studies at California State University, Northridge. She is a historian of Mexico in the late colonial and early republican periods, and her research interests lie in the history of Mexico's Northeastern borderlands, specifically the maritime and border city of Matamoros, Tamaulipas. 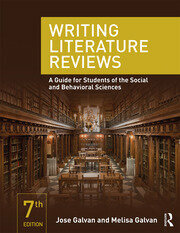 She is co-author of the title, "Writing Literature Reviews: A Guide For Students of the Social and Behavioral Sciences," now in its 7th edition. Melisa Galván is a historian of Mexico in the late colonial and early republican periods. Her research interests lie in the history of Mexico's Northeastern borderlands, specifically the maritime and border city of Matamoros, Tamaulipas. Her current project embraces new interdisciplinary and transnational frameworks, and examines the ways in which the region's development had a much wider impact on national Mexican immigration, trade, and diplomatic policies than scholars have previously recognized. She is in the process of preparing a book manuscript, From Contraband Capital to Border City: Matamoros, 1746-1848, based on archival research in archival repositories throughout México and the United States. Galván is the recipient of fellowships from the University of California's Institute for Mexico and the U.S. (UC Mexus), the Fulbright Foundation (Fulbright-Hays DDRA), and the University of California Chancellor's Fund.